It’s understandable that you might be shaken up from the collision so it’s wise to take a moment to assess the situation. Once everything is clear, call the authorities immediately to let them know what happened. If you wait too long, the police may not be able to track down the perpetrator in time. You will also need a descriptive account of the situation when you file your claim, so make sure you get in touch with your agent soon, while the incident is still fresh in your memory. This may not be a simple task since the vehicle is on the move, but it is still possible to gather enough information for a claim. Your first plan of action should be to get the license plate number of the perpetrator. Also try to determine the make, model, and year of the car. If their vehicle has any damage, take note of that too so they can be tracked down easier. Also take note of which way the vehicle went to give others a starting point. After you have all the information down about the other driver, focus on your car next. Like with any collision, you have to document the entire event. Where the location was, where it happened, how it happened, etc. Then take photos/videos of your car. This documentation will help your agent later on. While it may be tempting to go follow the person that hit your car, you are actually putting yourself in a bad position if you do this. You will need witnesses when filing your claim. If, however, you flee the scene, you could lose this opportunity to speak with others who provide valuable information that you need. 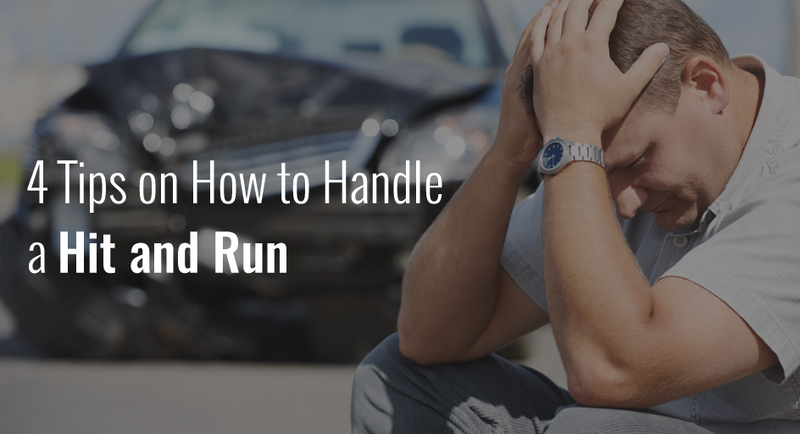 Like with any collision, there will be a lot to handle in the aftermath. You may need someone to come tow your car depending on how severe the damage is, and making a claim is not a quick process. While it might be a frustrating time, be patient while everything gets sorted out. Talk with your loved ones to make any necessary arrangements and let everything work itself out over time. The last thing you need after a hit and run is a massive bill to pay. Luckily, with the right coverage plan, you don’t have to worry. Give our office a call today and get in touch with our professional staff who can find you the insurance plan you need in case of any accidents down the road.